Classroom organization is a key component to any successful classroom. 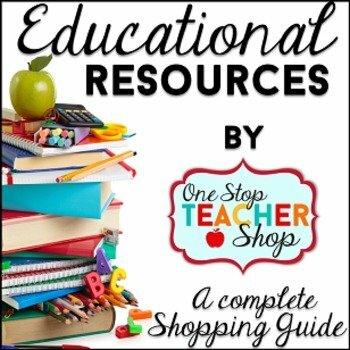 As teachers, we want to make sure our students have a place for their homework, classwork, supplies, textbooks, notebooks, and anything else they will use in our classroom. 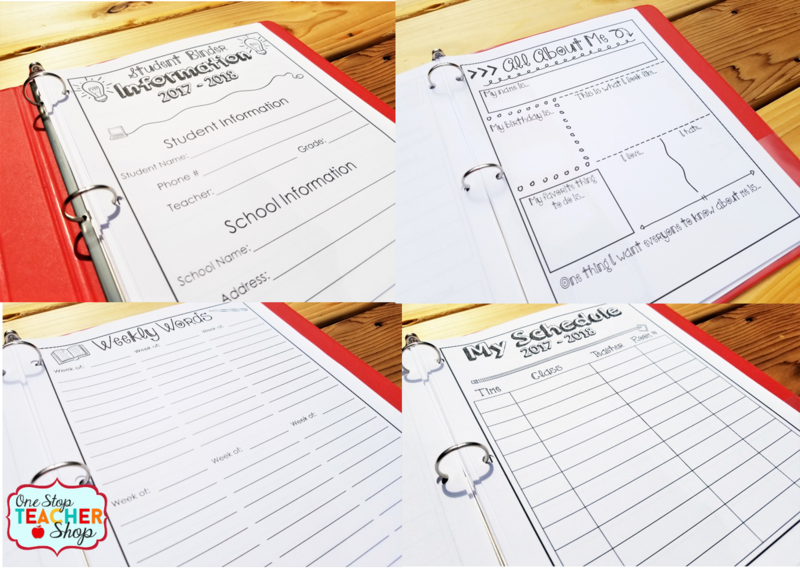 Student Binders are the perfect way to set up students for a successful school year and teach them the organizational skills they will need for life. 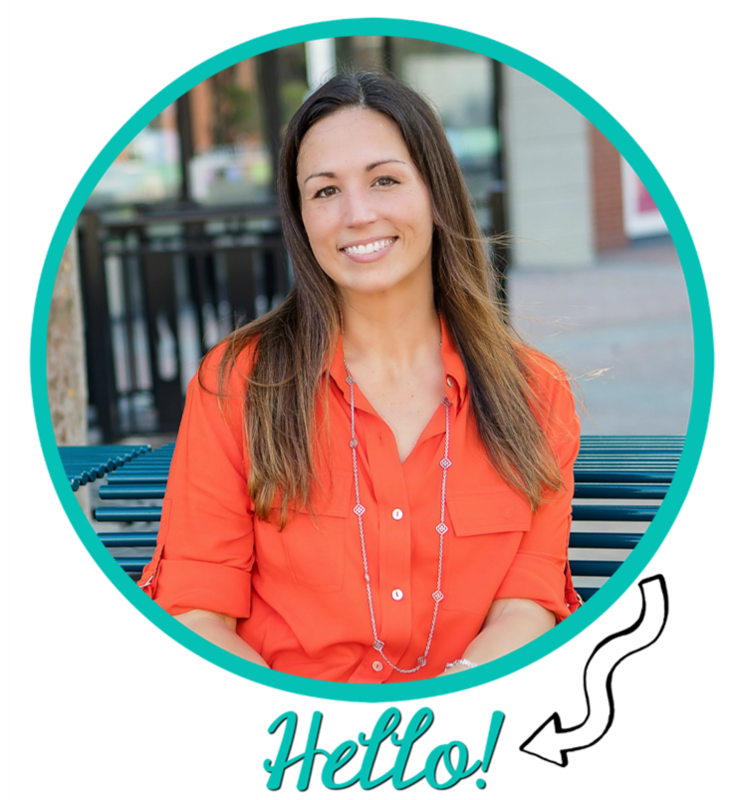 In this article, I’ll show you how I set up student binders and what I include in them to keep students organized all year! 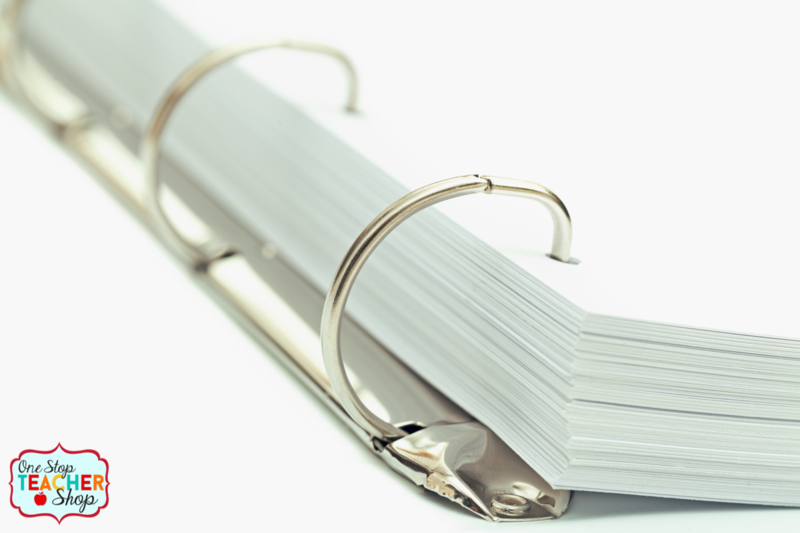 It’s all about the Binder! 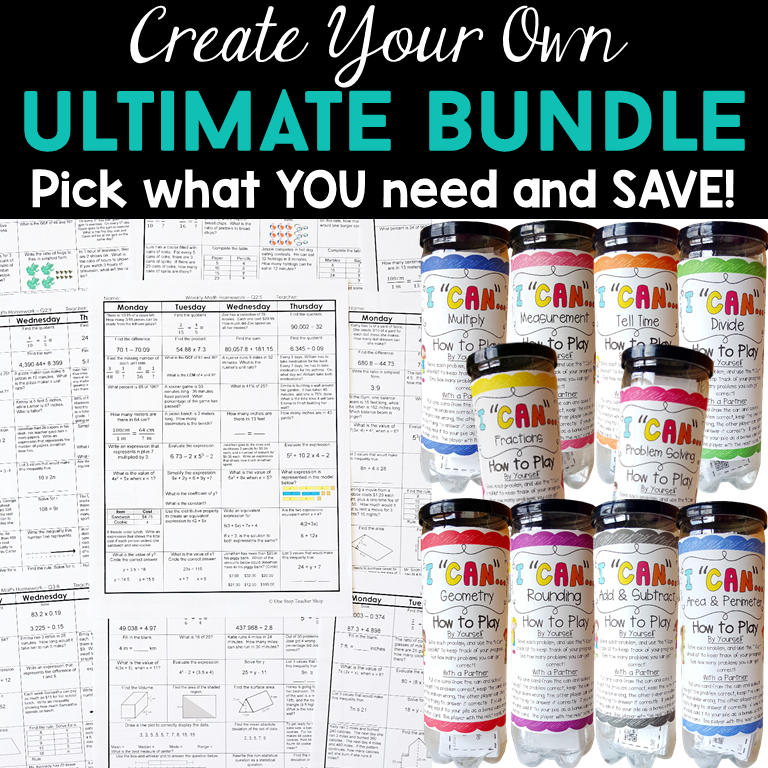 To begin with, be sure to add a binder to your student supply lists. 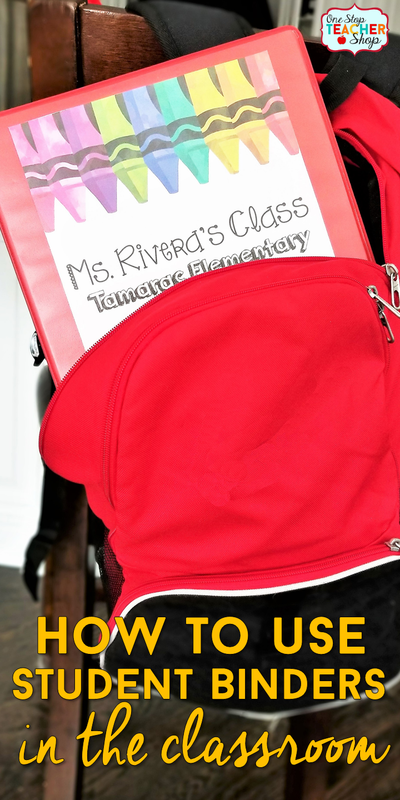 Make sure you add a special note for students to supply a “Heavy-Duty” binder that is at least 1.5 inches wide. Obviously, any binder can work, but I have found that this type of binder is the most durable binder for students. If getting a binder from each student just isn’t an option, you could use 3-prong folders and use one for each section. This isn’t as ideal as a binder (keeping everything all in one place) but can do the job if necessary. My favorite part about using student binders is being able to create a fun cover for my students. 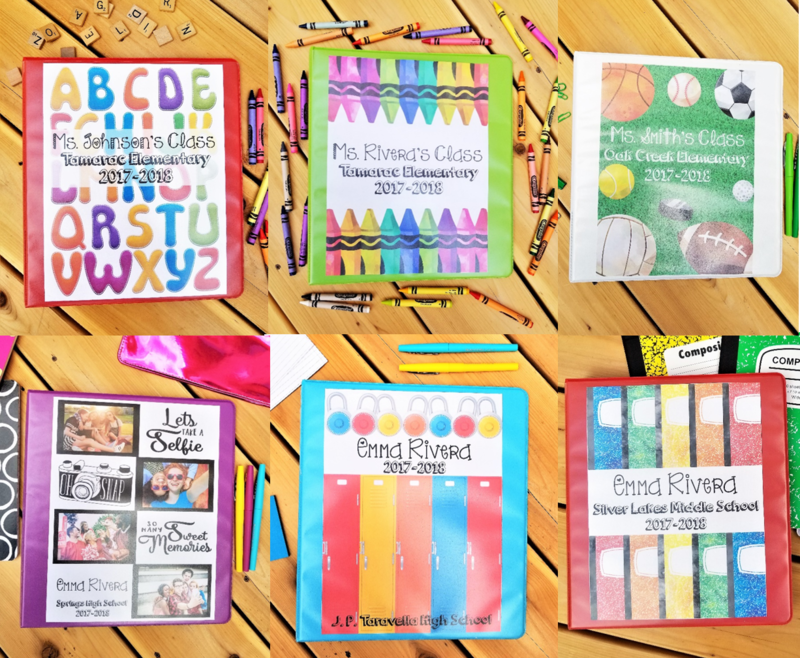 If you like to have themes in your class each year, you could create a special theme cover. Not using a theme? You may want to use your school colors or something your students are into. Here are a few fun covers for some inspiration. You can have any sections you choose, but these have worked best for me. Continue reading for more explanation about each section. 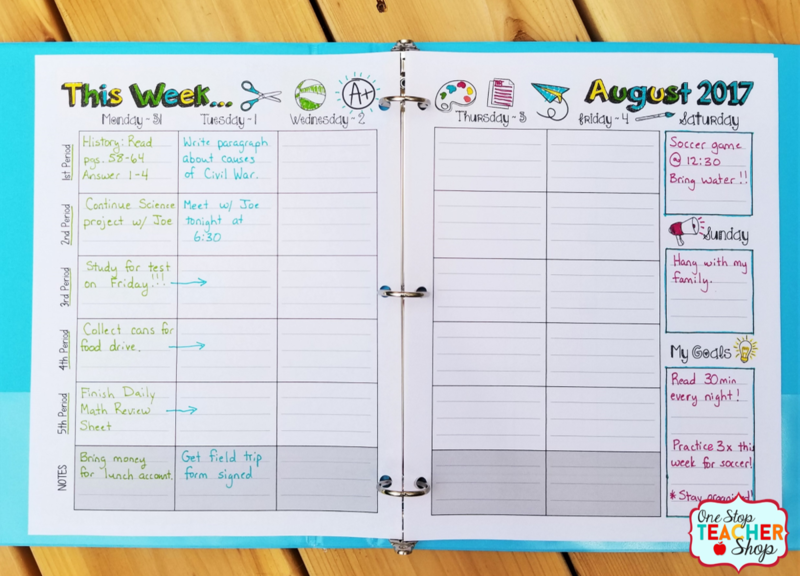 A Daily Student Agenda is KEY to keeping students organized, teaching life skills, and communicating with parents. 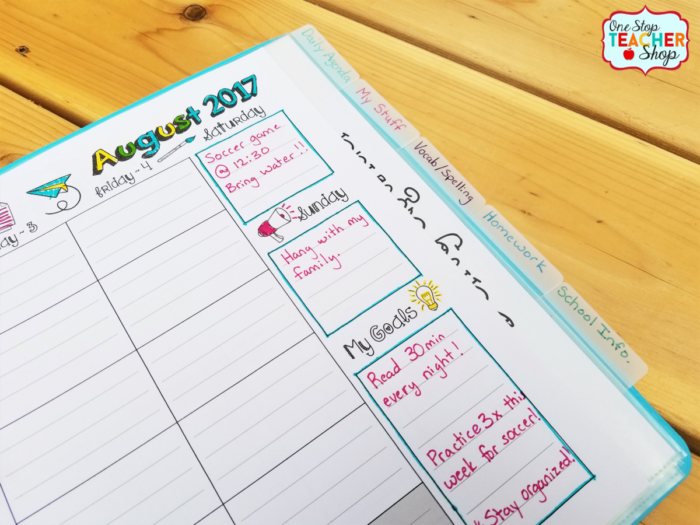 At the end of each day, students write down important notes for the day and homework they are expected to complete that night. If I need to write a note home to a parent, this is where is goes. 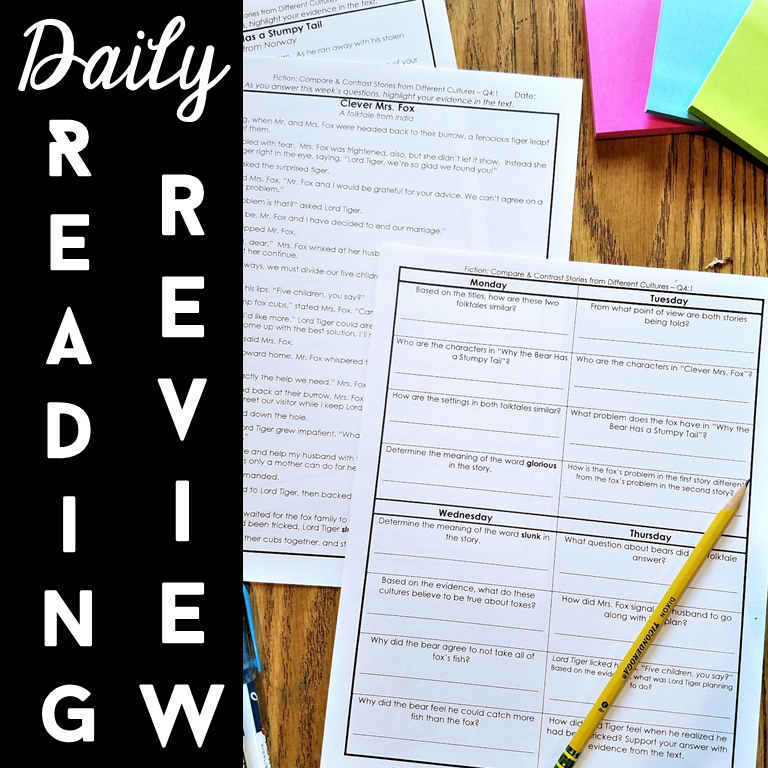 In addition, parents enjoy having a consistent place to reference for notes and things that need to be completed. 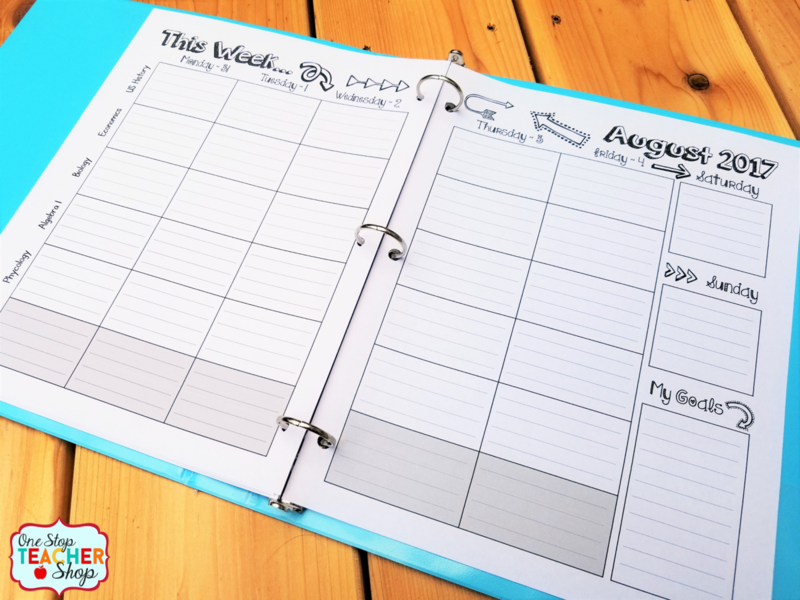 This agenda section is also a great way to keep a record of student progress, behavior concerns, and homework completion. All notes are in one place if ever needed for data collecting. As adults, we use calendars all the time to keep track of our schedule. 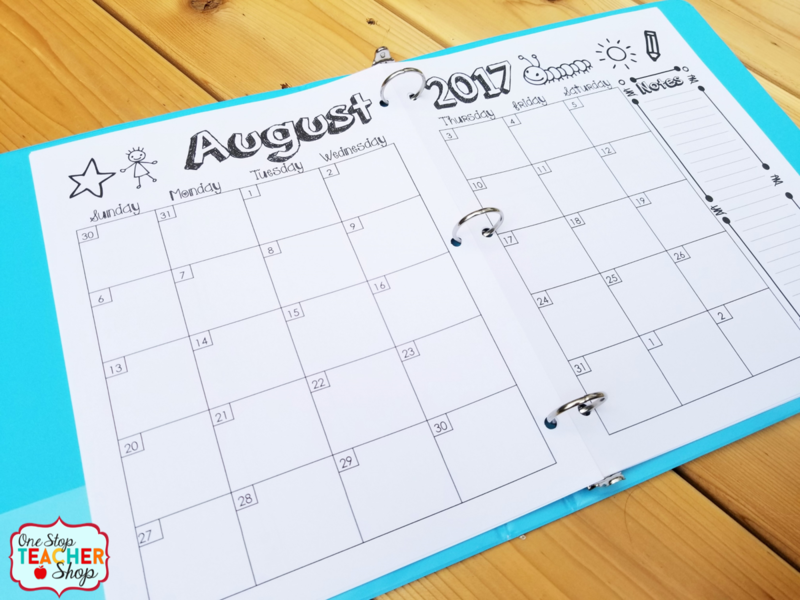 Using calendars in your student binders will teach students this life skill and the importance of looking/planning ahead. Also, I love adding important school dates and events to this calendar at the beginning of the school year. It is ideal to keep homework all in one place. Homework is more likely to be completed and less likely to go missing. 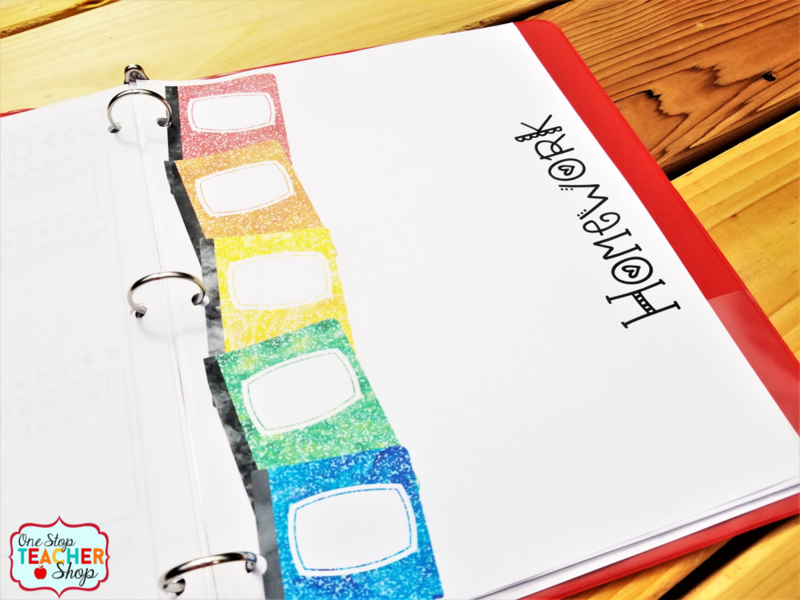 Having a homework section in your student binders gives students a simple way to keep all of their nightly homework together. I regularly send home student progress reports in order to keep parents informed throughout the school year. 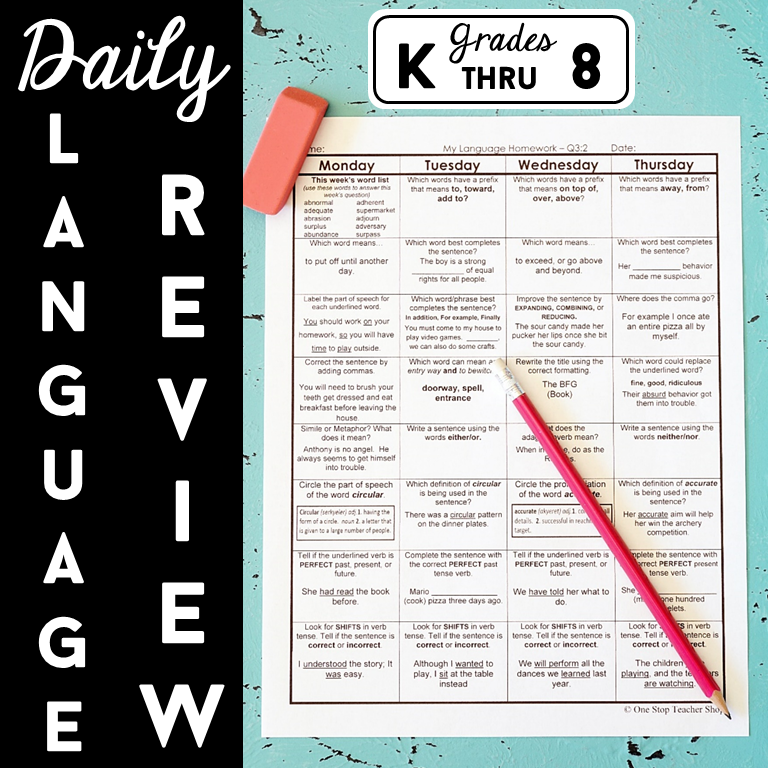 These reports update parents on recent grades, progress, and any behavior concerns I may have at the time. 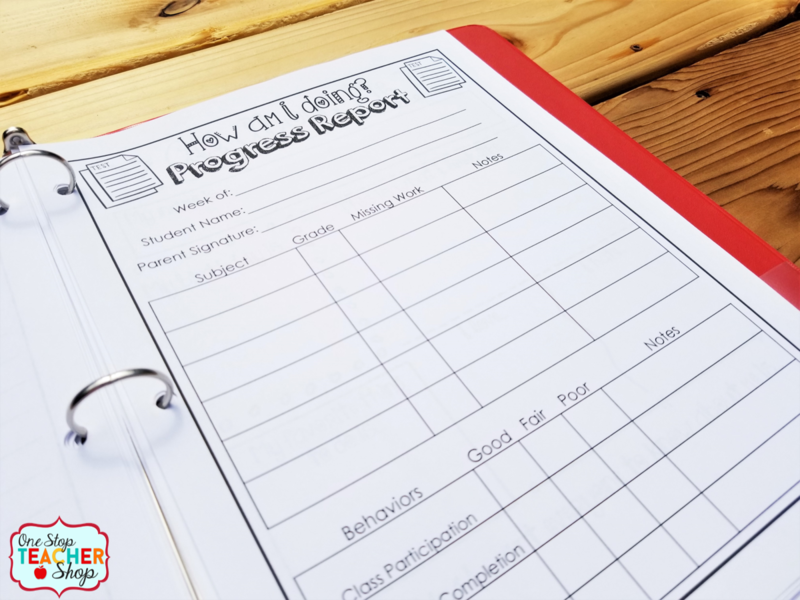 A copy of the progress reports is kept in each student binder for parents to reference as the quarter/semester progresses. At the end of each quarter, I remove the progress reports and file them in my student portfolios. 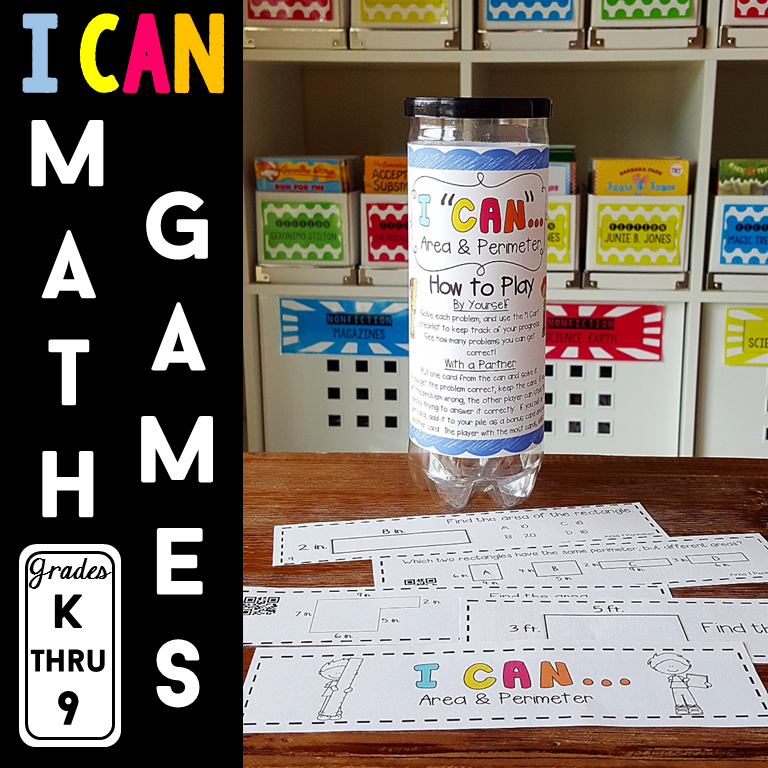 Requiring students to keep track of their own progress can have many positive effects in your classroom. 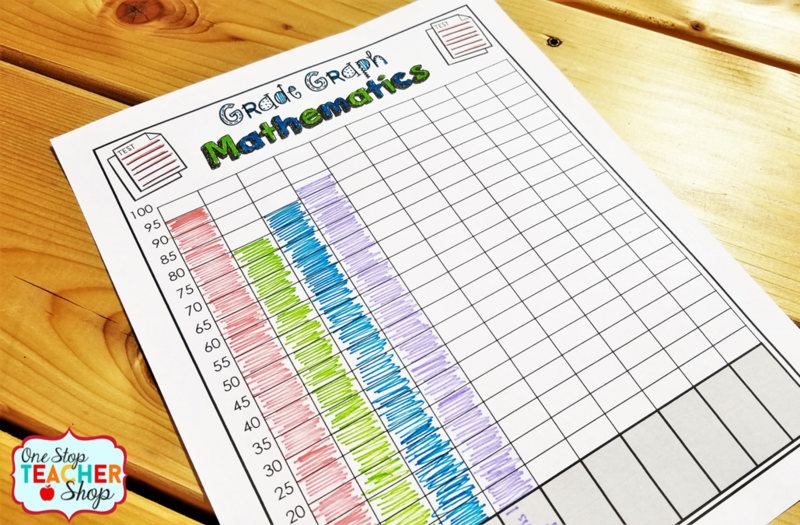 By having students graph and/or record their grades, they are gaining a better understanding of how they are actually doing in school. 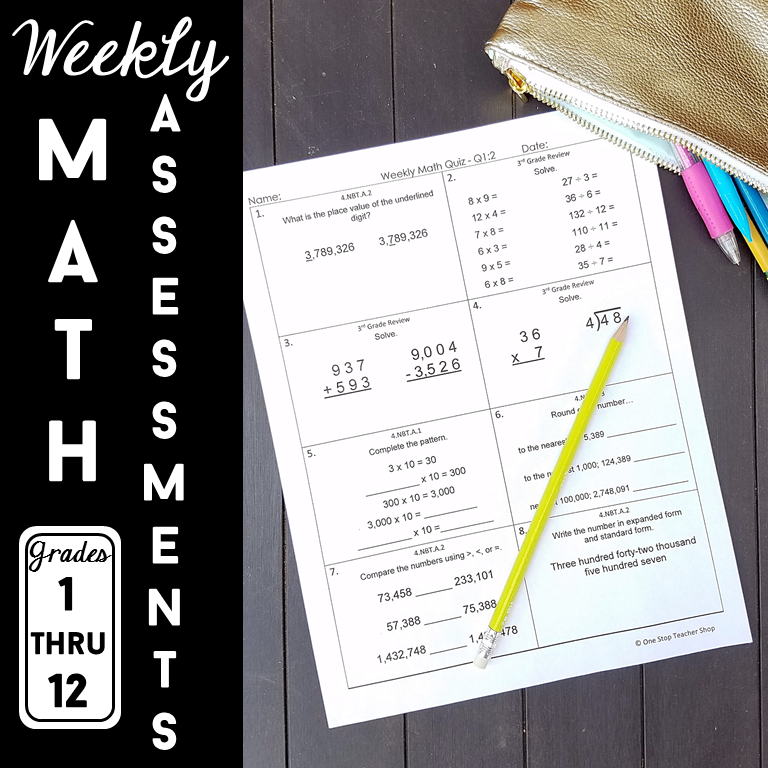 Students should not be surprised if their grade is low and are more likely to take ownership and work to improve their grades when they see them in a concrete format. 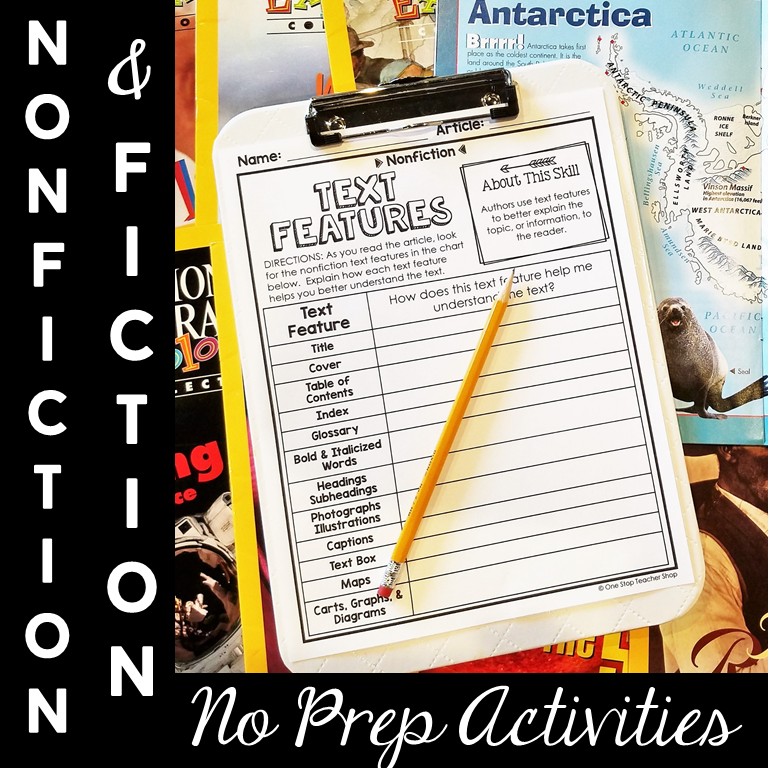 It is important to have a section that contains anything and everything you would like your students to keep in their student binder. 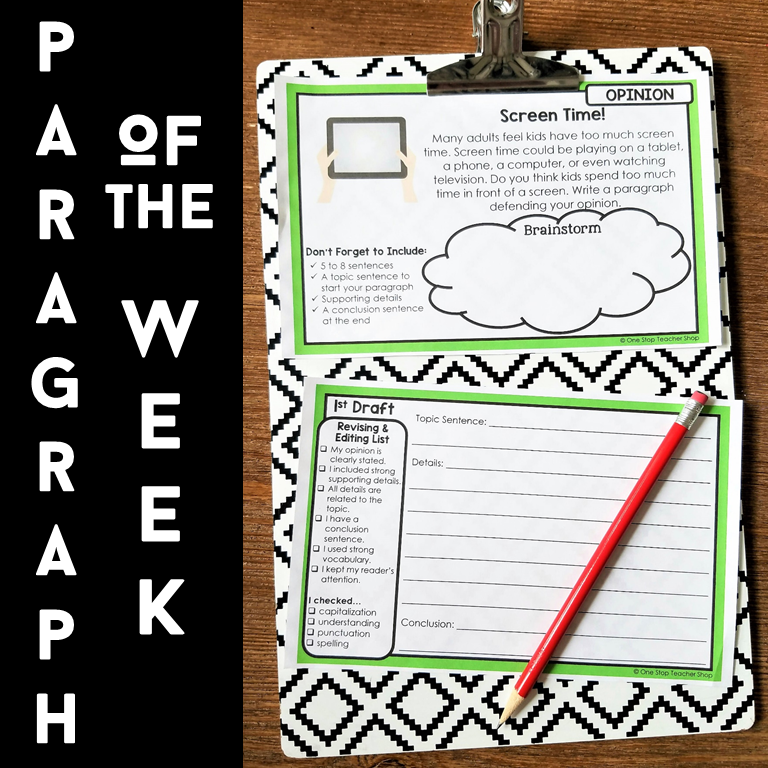 Some of these papers may be to help the student organize themselves and some might contain important class policies or procedures. 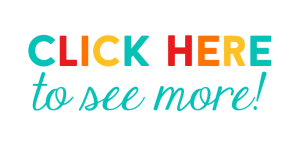 Some of the information I like to include is a class schedule, contact information form, homework expectations, school policies, etc. Students love to make things their own! Your student binders should be no exception. Give them the opportunity to draw pictures or color on their agenda pages, as long as it doesn’t interfere with the actual agenda. 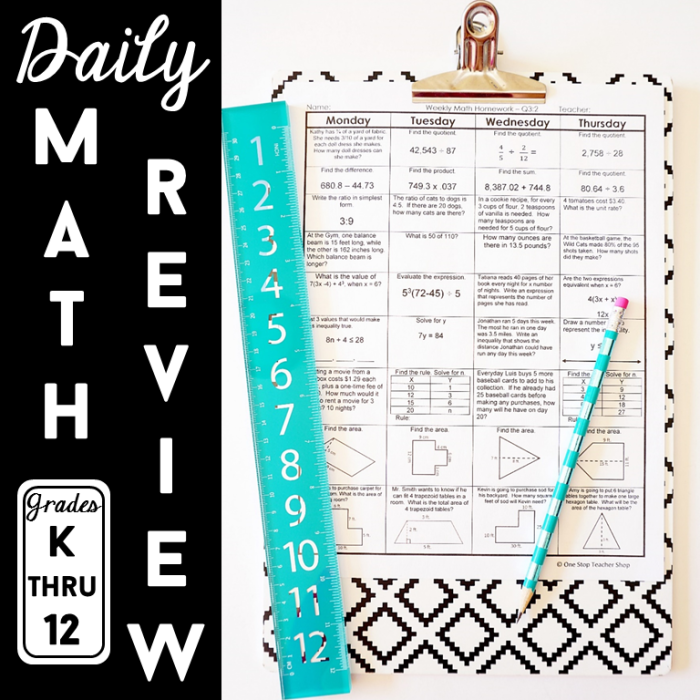 I love to use a “doodle” style agenda and let students color in the pictures each week as a fun activity. 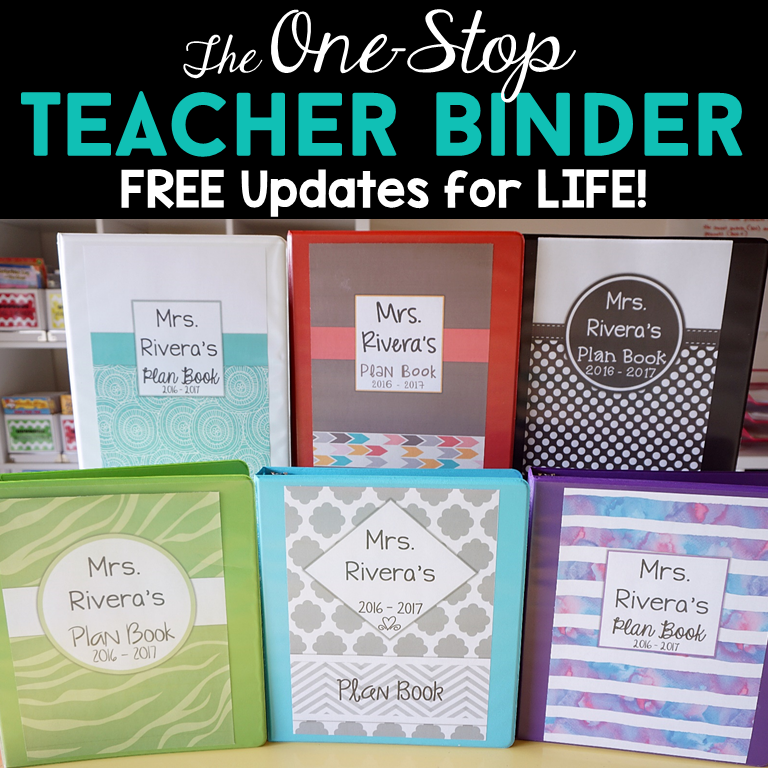 This is a great way to get students excited about their binders and they are more likely to take care of them throughout the school year. 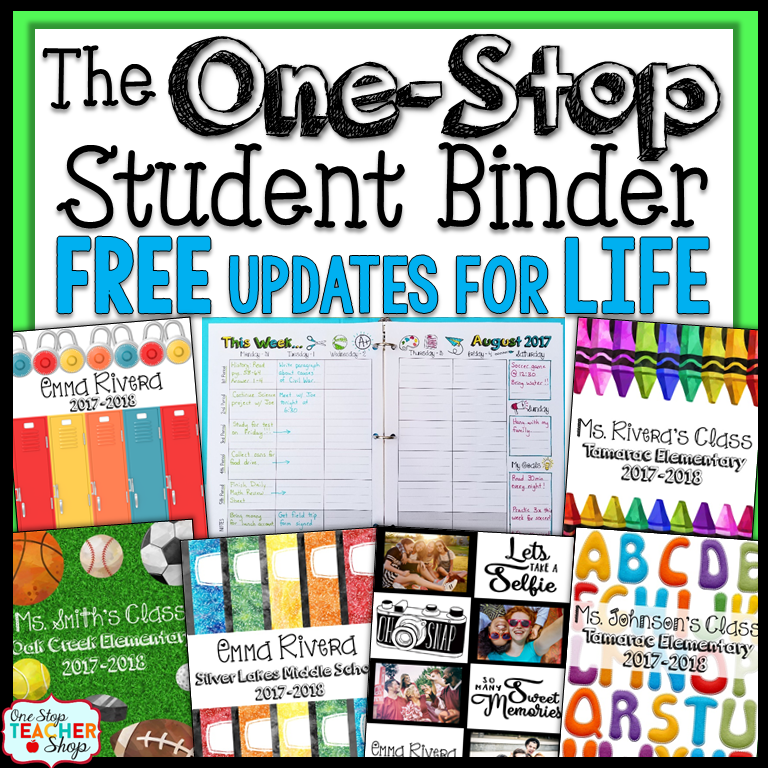 If you are searching for the perfect student binder, check out my One Stop Student Binder! It has everything I mentioned above and MORE. The best part, I offer FREE updates for life! Yep, you get to return every single year and download the binder again for free. 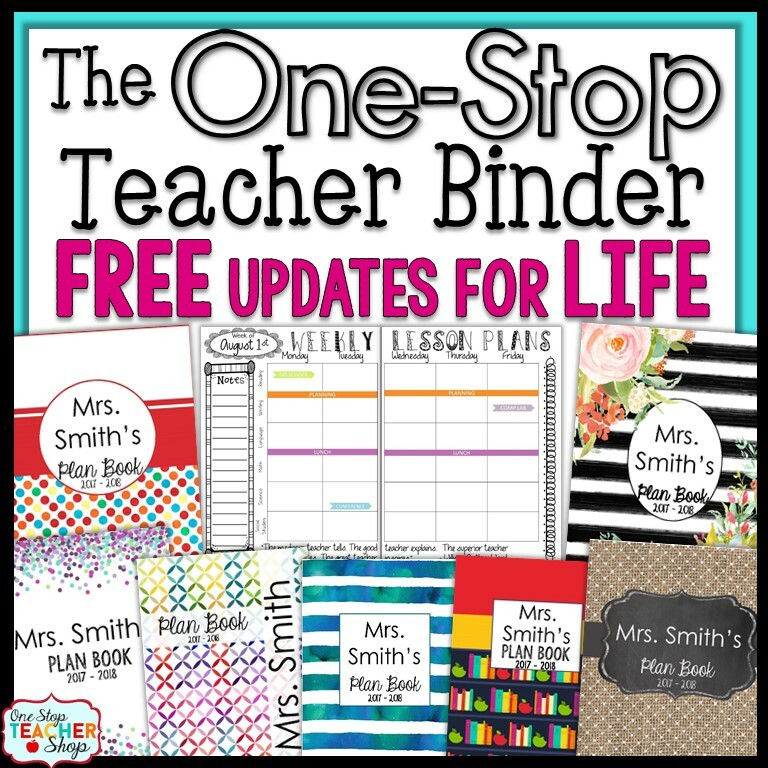 Be sure to check out my other blog post about my One Stop Teacher Binder!